Now day’s Social media has changed the way market research is done, it keeps coming up with new and exciting ways. 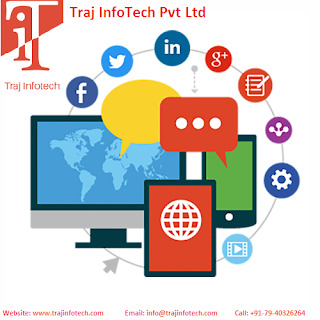 Social Media Marketing creates a wave in the market, it helps in creating awareness of the product, promoting the brand and is also able to get a feedback from customers quickly. Market researchers should take advantage of the advance capability of social media. If you are able to learn how to master the social media, this will help in obtaining knowledge on how to target your potential customers. New and advance software has been helping in the collection of data. Now, people do not need to focus on old methods of marketing such as customers interviews, focusing on certain groups or surveys, technology has changed the scenario, market researchers can target a wider audience and also receive feedback more quickly. These days, there are certain tools that help the business to learn about their customers and also increase the sales and profits. Collecting data is not sufficient, analyzing data is also important. Data analysis is becoming easy and organized because of technology. Data Analysis helps in customer relationship. Many companies use data analysis to improve long term customer loyalty. Data analysis is great way to know what steps an organization needs to take are; in short, it helps in crucial decision making. Social Media Marketing Service providers are able to create new ways to research through technology. With mobile users going up, the company needs to adapt to the market requirement and come up with new strategic ways to meet the market requirement. Data that is obtained from mobile phones and social media is translated more professionally. A huge amount of data coming from both offline and online provides market researchers to analyze and develop accurate strategies. It is very important to go through the data and remove or discard all irrelevant information. Market research can be done more confidently with a good data collection. Whether it is e-mails or any business presentation or company website, it is the advancement of technology that has changed our day to day life. Technology is helping us to be more progressive and has changed the concept of market research. It also helps in giving us new opportunities and useful business solutions. Technology has made data collection and data analysis much easier. Technology has been playing a major part in helping market research with an advanced approach to data. There is no limit to technology advancement. Finally, it is all comes down to knowing your customers, this has become possible only because technology. For more information about Social Media Marketing Services contact us at Traj InfoTech Pvt Ltd.